Moonglaive Sentinels - Tor ilisar'thera'nal! Recruitment is currently OPEN! Below are the classes that we accept. 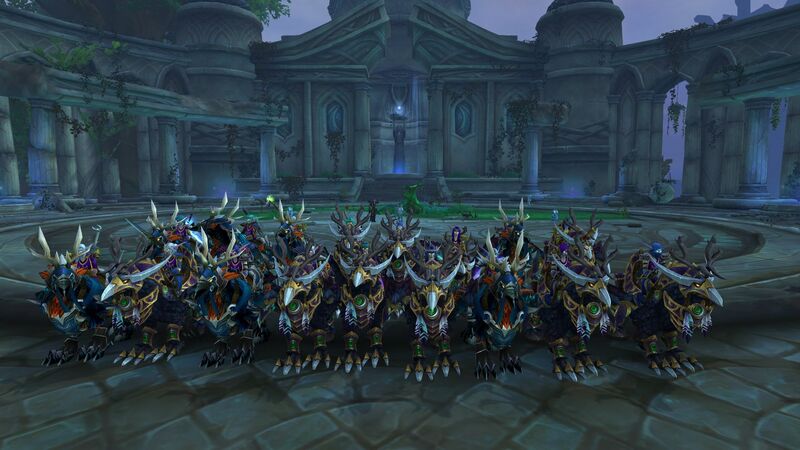 Moonglaive Sentinels is a World of Warcraft role-playing guild. 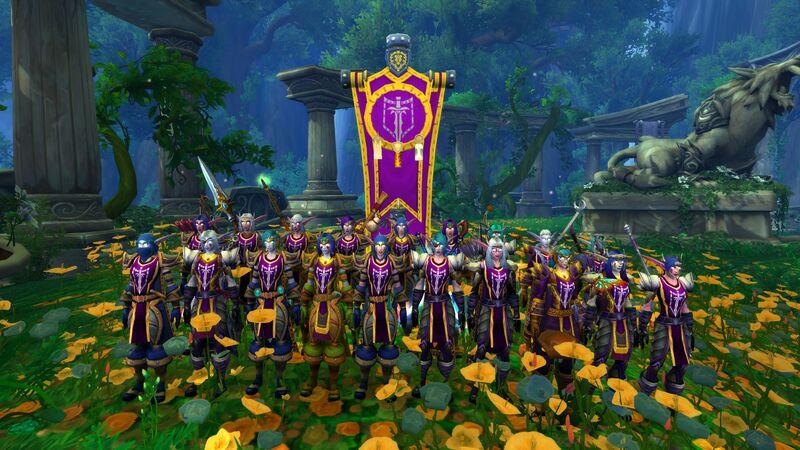 We are the oldest and largest Night Elf guild on the Wyrmrest Accord (RP) server. Please feel free to leave a message in our Guest Book. It may be easy to forget, in this time of conflict, that Darkshore is not the only area the Horde threaten on Kalimdor. Our enemies brashly strike up and down the length of the continent, endangering all Kaldorei lands and settlements. 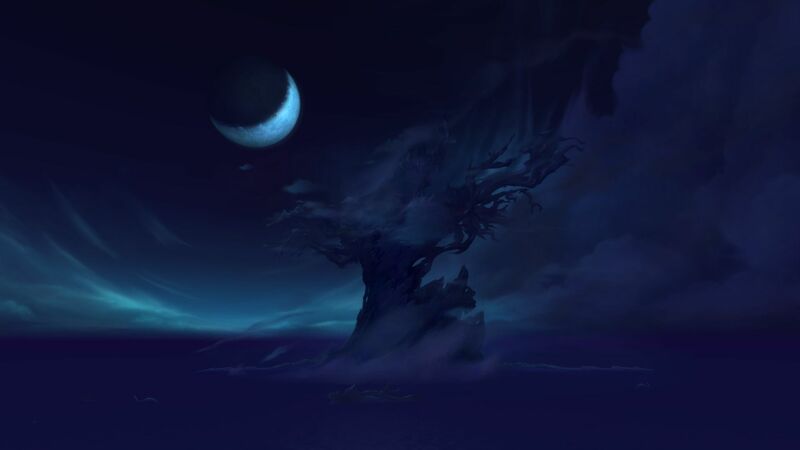 It would do us no good to protect Darkshore, but lose the rest of our homelands. 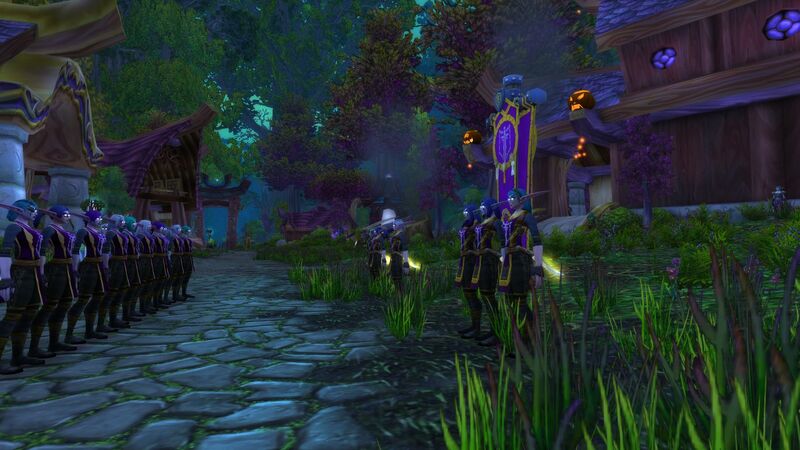 Thus, have received our new marching orders from General Feathermoon: Our regiment is soon to begin its traditional march across western Kalimdor, from Astranaar in Ashenvale to Feathermoon Stronghold in Feralas. We will depart from Astranaar on the 30th day of this month. This trek will be by ground routes only, so expect to be away from Ashenvale for several weeks. Make certain you have prepared enough equipment and supplies for an extended journey, and that your nightsabers are in fine and fit condition. Along the way we will be stopping at various Kaldorei towns and outposts, giving them whatever aid they may require. We will also take any opportunity to strike at Horde forces we encounter, to remind them--most-painfully--that these are Night Elf lands. Be it known, Sentinels, that this march is no light-hearted holiday excursion. You can expect training exercises, patrols, instruction, and even combat missions. All questions may be forwarded to myself or any of the Cadre's officers. Given where I live in the world (New Zealand), I'm regularly online at late points in the evening. Hence I'm wanting to see if I could start RP for people who would potentially be online at the same time. This would be events from 1am Server until 3am server, Thursday AM. What I would like to do to start off would be to run Strike Missions as a theme, where Sentinels (and guest RPers who are alliance loyal) go off on small missions that are tangential to the main story. Every effort would be made for these to be opt in only and for characters to get back to base in time for the continued Guild Storyline. Of course, these would also suit alts. If this is successful I'd be keen to see some crossover with other Oceanic based RPers, maybe even get some involved in the guild, or get some of our own alts onto other events at similar times during the week. Who would be interested in this? My first event is to be next week, 7th March. 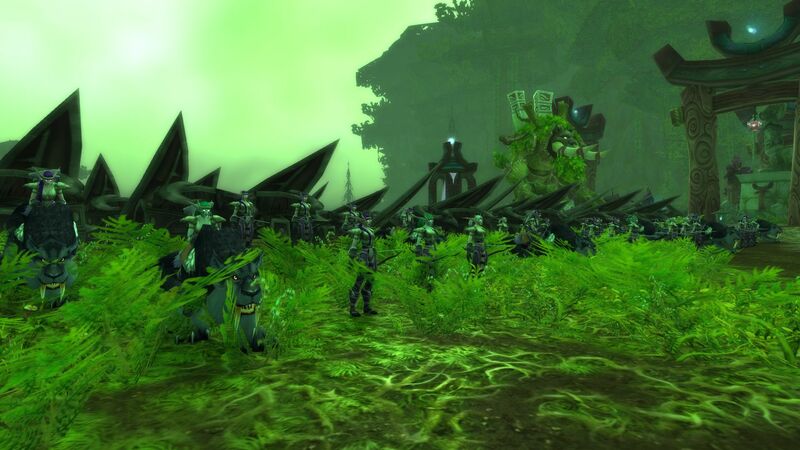 8pm AEDT, 1am Server Thursday 7/3/2019: Sentinel Strike Mission: Sentinel Aldea Isilindale of the the Moonglaive Sentinels leads a small strike mission into Horde Controlled Ashenvale Assets. Open to: Military or Mercenary Alliance Characters, those who might have signed on to work with an Elite Cadre of Kaldorei Warriors. Again you are called upon to advance on the enemies of your people. The time and occasion are deemed opportune by your Commander to address you a few words of confidence and caution. You have been organized, strengthened, and fully equipped. You form part of the Grand Sentinel Army, the whole under the direction of the able and distinguished General Feathermoon, who enjoys the confidence of our people and her soldiers. Your movement being in co-operation with other forces, both from within the army and without, it is of the utmost importance that no effort be left unspared to make it successful. Sentinels! The eyes of the Kaldorei people are looking with anxious hope to the blow you are about to strike in the most sacred cause that ever called Sisters to arms. Remember your homes and your loved ones, and bear in mind that the sooner your enemies are overcome the sooner you will enjoy the benefits and blessings of peace. Bear with patience the hardships and sacrifices you will be called upon to endure. Have confidence in your officers and in each other. Keep your ranks on the march, your discipline on the battlefield, and let each Sister earnestly implore Elune's blessing, and endeavor by her thoughts and actions to render herself worthy of the favor she seeks. With clear consciences and strong arms, actuated by a high sense of duty, fighting to preserve Kalimdor and the traditions handed down to us--if true to ourselves--victory, under Elune's blessing, must and will attend our efforts. See the loyal children of yours. To the salvation, to the day, we long. We shall march forth from the forest. We shall march forth into the fiery maw of battle. Our souls shall be tempered upon the altar of war, and we shall know no fear. Each foe vanquished, fueling conviction, driving forth the barbed arrow, the mighty glaive. We are the Moonglaive, and we shall never falter. It would be unwise, even were it possible, to conceal the great moral and material injury to our cause that resulted from the loss of Teldrassil. It is equally unwise and unworthy of us, as faithful engaged in a most sacred effort, to allow our energies to falter, our spirits to grow faint, or our efforts to become relaxed under reverses, however calamitous. The hopes and confidence of the enemy have been excited by the belief that their destruction of Teldrassil would be the signal for our submission. It is for us, my Sisters, to show by our bearing under these reverses, their error; to endure misfortune with fortitude; to encounter danger with courage. We have now entered upon a new phase of a struggle, the memory of which is to endure for all ages. Nothing is now needed to render our triumph certain but the exhibition of our own unquenchable resolve. Let us but will it, and we are free; and who, in the light of the past, dare doubt our purpose in the future? Animated by the confidence in your spirit and fortitude, which never yet has failed me, I announce to you, my Sisters, that it is my purpose to maintain our cause with my whole heart and soul; that I will never consent to abandon to the enemy one foot of the soil of any Kaldorei lands; whose ancient renown has been eclipsed by her still more glorious recent history, whose bosom has been bared to receive the main shock of this war, whose Sentinels have exhibited heroism so sublime as to render her illustrious in all times to come - that Kalimdor, with the help of her people, and by the blessing of Elune, shall be held and defended, and no peace ever be made with the invaders of our home. Let us not, then, despond, my Sisters; but, relying on the never-failing mercies and protecting care of our Goddess, let us meet the foe with fresh defiance, with unconquered and unconquerable hearts. Moon Shadowsoul: thanks for the birthday wishes! Kaylandris Winterstar: Happy birthday, Moon! Bovira Nightbreeze: Happy Birthday Moon! Mir'rale Stagstalker: Happy Birthday Moon! Adellwyna: Great turnout last night! I'll have the event summary and screenshots up soon. Saellina: Sorry, I'm going to have to miss this event because I'm sick but I hope it goes well! Adellwyna: Feralas Trek continues tonight, 5pm server! Adellwyna: These abilities can be noted in your DiceMaster traits. Adellwyna: Please make sure to look over our updated and expanded PvE/RP roll rules; choose a class kit and favored enemy. Adellwyna: I hope you all enjoyed meeting Meebu last night. I'll have summary and screenshots up soon. Adellwyna: If we get a good enough turnout Saturday, we may also do a promotional guild photo. Adellwyna: RP events this Thursday and Saturday!